Ready to make your PPC ads really pay off for your company? Here are the top 5 strategies to improve your ROI while helping increase your traffic and conversions. Did you know that small businesses waste 25% of their PPC budget? This means that a quarter of your budget could be better spent on your PPC ads. As PPC visitors are 50% more likely to purchase something than organic visitors, this means your business is also losing out on traffic and leads that will increase your sales. So, it makes sense every penny you put into your ads should bring your business success. This is why your business needs to be monitoring your ROI (return on investment). After all, it’s this figure that shows if the ads you’re using are really paying off for your business or if you’re wasting spend. To help you increase your ROI with better PPC ads, we’ve put together our top 5 strategies your business can implement today. Did you know that 50% of searches are longer than 4 words? Longer search terms are often used when a customer knows exactly what kind of product they’re looking for – as it helps them bring the right results up. Let’s say, for example, you have a male customer who wanted a grey flat cap for a particular occasion. They’re not going to just search for ‘hats’ – because the results will be too vague. They’ll search for ‘mens grey flat cap’. The longer and more specific the search, the more likely it is that they’ll get the right results. 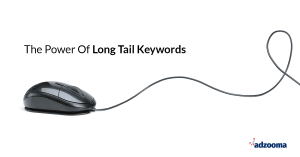 Click the image above to read our blog post on The Power Of Long-Tail Keywords. Long Tail Keywords are a way to target these specific searches. Made up of three words or more, these keywords give you the ability to create more focused and specific ads for your business. In addition, long tail keywords are often easier to rank for and can cost less than other keywords because you’ll often be facing less competition. So, you’ll be able to increase your success while lowering your CPC (cost per click), giving you a better ROI. Broad Match: This enables your ad to appear whenever a user searches a word in your keywords, in any order, even if one of the words is spelt wrong. So, if you’ve got a broad match on “men’s hats”, your ad might also appear in “women’s hats”, “men’s flat caps” or “boys hats”. Broad Match Modifier: This works in the same way to broad match keywords, but allows you to put restrictions in place to limit appearing in specific searches. Phrase Match: This is where your ad will appear in searches where a user has typed in your exact keyword phrase, the in exact order, with additional text and keywords at the beginning or end. Exact Match: This is where your users have to type your exact keywords, in the exact order, with nothing else in order for your ad to appear in the searches. Although using exact keyword matches will limit the audience that your ads will appear to, it can help increase your ROI. This is because you’ve limited your searches to only appear to the right audiences who are more likely to click and buy your product. So, you’re not wasting money on appearing to loads of people who are unlikely to buy, giving you a better ROI. A lot of businesses spend a lot of valuable time and money choosing their keywords – but miss one important trick that will really improve their ROI. So what are you missing? Negative Keywords. Negative keywords are a way to remove keywords that aren’t relevant to your ads, such as words like “free” or “cheap”. Let’s say you’re running a campaign for men’s clothing. If you use “women” as a negative keyword, everyone who’s searching for women’s clothing won’t be able to see your ad. This makes sure you don’t waste your spend on the wrong audiences. Fundamentally, negative keywords allow you to achieve better targeting for your ads. This, in turn, allows your ads to be shown to better audiences who are more likely to buy, increasing your ROI. In fact, 98% of top-spending accounts have more than 250 Negative Keywords. – showing that it’s a strategy that you should really be paying attention to. Did you know that using Google ad extensions can increase your click-through rate by up to 20%? Ad extensions are there to make it easier for people to take action. What’s more, ad extensions are completely free to use. If you’ve included a phone number, people can ring you straight away without having to visit your page. Location extensions also work in the same way, letting your customer know exactly where you’re based. Other extensions will help feed into your landing page, such as customer ratings which immediately start building trust, so visitors may be more likely to convert on your website. In addition, multiple site links are great if you’re offering a range of products in the same campaign, so they can select and land on the most relevant page for them. Overall, ad extensions can help up your click-through rate and conversions without you spending an extra penny – increasing your ROI. Getting users to click your ad is only half of the battle. From there, they’re sent to a landing page where your biggest goal is to convert them into customers. So, it’s important that the page you send them to is targeted to what they need. This means that instead of sending them to your home page, send them straight to the exact service or product that they’re after. This saves your users time searching your website for the information they need, making them more likely to convert and increase your ROI. Followed the above strategies? Great – now is the time to monitor your results. This is how you ensure that your changes are working. But, more than that, it’s a way to see how you can keep on improving. After all, there’s always going to be different variations and changes that will further bring down your CPC and improve your profits. 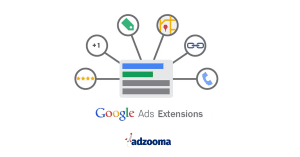 At Adzooma, we can carry out a complete health check of your Google Ads account in just 1 minute. With this, you’ll get an overview of how well your ads are doing – and where you and improve ROI. With this, you’ll also get a free 30-day trial to our advertising platform. Our platform constantly checks and identify opportunities for your Google Ads, which you can implement at a touch of a button. So, we can help you to eliminate wasted spend, improve your quality score and boost your conversions for a better ROI.